Curing is primarily a function of time and temperature and Tomcor balances both with precision to deliver uniform curing without discolorations or "dirt" interference. Drying your parts and curing them for a tough, beautiful finish requires consistent heat without contamination. Tomcor's bottom entry, bottom exit oven maximizes efficiencies and controls temperature to provide the most ideal thermal conditions. Our sophisticated controls and heat source technology creates the superior finish you demand. 100% filtered air to minimize air contaminants during drying and curing. Energy efficient, VFD (variable frequency drive) heat boxes and blowers for optimum control. 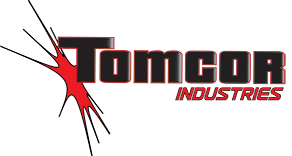 "Cure and be sure with Tomcor."